Please join us in exploring the prehistory of the lovely Mendocino National Forest! The area we will be investigating would have been rich with fish, game, and plant resources. It is below 2,000 feet in elevation and, as such, is in an area rich with prehistoric habitation sites and seasonal camps. In fact, test excavations at a nearby archaeological site indicate prehistoric use of the area extending at least 7,000 years into the past! Several archaeological sites have been identified in the area suggesting procurement and processing of both plant and animal resources. Unfortunately, this area, to date, has received very little systematic archaeological survey, even though, during the historic contact period (ca. ±1550s A.D.) the region is known to have been occupied by the Patwin Tribe, who lived near the boundary with the Northeast (Salt) Pomo, who occupied the north. This past summer (2018), the “Mendocino Complex” wildfire became the largest in California history. The silver lining? It burned very hot through the area creating enhanced ground visibility, and making conditions perfect for archaeological inventory! In an effort to identify previously unknown archaeological sites and better delineate known sites, we will perform intensive survey along Little Stony Creek. Volunteers will work with professional archaeologists to locate, map (using GPS), and document archaeological sites in the Little Stony Creek canyon. Impromptu potlucks, flintknapping demonstrations, and presentations will occur in the evenings. We also hope to have a Tribal presence to help share traditional knowledge and perspective. We look forward to working with you this summer! Special skills: Volunteers must be physically capable of hiking for extended periods each day, over often uneven ground. 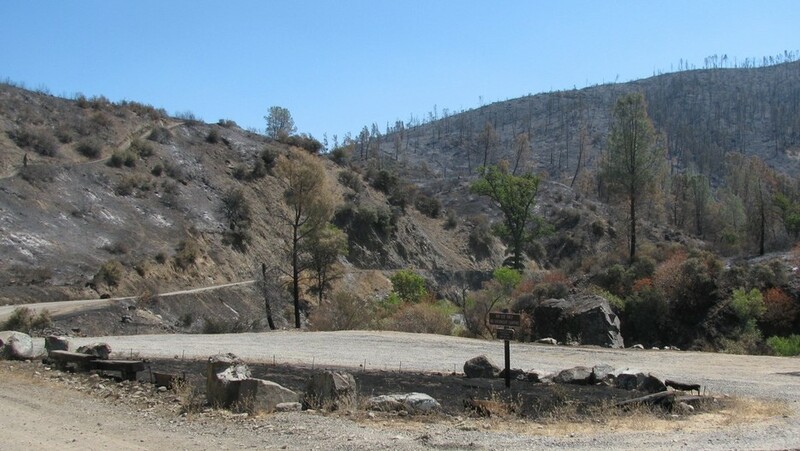 Also, as most of the vegetation has burned off, there will be little shade available and temperatures can approach 100ºF during the daytime (layers recommended); previous archaeological survey, excavation, data entry (forms), mapping, GPS, drawing, and/or photography experience useful, but not required. Facilities: We will be camping at Little Stony Campground which is within our project area. It has two vault toilets and no water, showers or RV hookups. A small store is available in the town of Stonyford, approximately nine miles to the north.